Welcome to our devotionals page. Personalized devotionals written by us (Andy and Chelsey) to help guide you through your daily walk with God. We encourage you to write your own prayers and responses to the questions. It occurred to me this morning that there are many character attributes of God that we simply don't even consider. But, if every (good) thing is from Him, then kindness is from Him too. Do you ever consider that Jesus was the kindest person there ever was? His mercy toward people asking for healing, His forgiveness toward people doing Him wrong, mocking Him, beating Him, during their acts of sin. His love toward children and the sick and patience while helping His disciples understand His teachings. His gentleness and compassion toward others ARE his nature. These are just a very few recorded examples of His kindness. In fact, kindness is one of the ‘fruits of the spirit’ (What Are The Fruits Of The Spirit) it is one of the ways that we demonstrate that we are Christ-like (literally acting in the likeness of Jesus Christ). Perhaps we think of God/Jesus as a powerful, angry, tyrant that is always looking down on us. He is certainly deserving of reverence, awe, and fear...however this is the same multi-faceted Jesus who is the Good Shepherd that cares for and protects his flock. Prayer: Jesus, I confess that I often become focused on your holiness and your desire for me to be perfect as you are perfect. I sometimes get bogged down in the hopelessness of my pursuits of being Christ-like and forget to live in the joy and freedom that you have purchased for me. I thank you for your kindness toward me. I thank you that your mercies are made new every morning. I thank you that you are regenerating me everyday and that you consider me part of your holy family. Please pour your Holy Spirit into me today as a fresh renewal of your joy and life and energy, to go out into the world and be supernaturally kind and loving toward others. I ask for patience and grace while driving, I ask for patience and grace while around family and co-workers. I ask for your will to be done through my life. Lord, help me live today in a way that is pleasing to you and a reflection of your kingdom. All good things are from God. Take a moment to think about what good things you may have overlooked or taken for granted in your life that you can thank Him for and show appreciation for His provision. Maybe even things that you viewed as negative or challenging a few years back. Have they grown/pruned/built you into a better situation today? What can you do to display the kindness of Christ to others today? We are very fortunate to get three different accounts (point of views) of the same events, because of the Gospels of Matthew, Mark and Luke . After a full day of teaching, Jesus and the disciples went in their boat toward the other side of the Sea of Galilee. During this trip, a terrible storm arose. 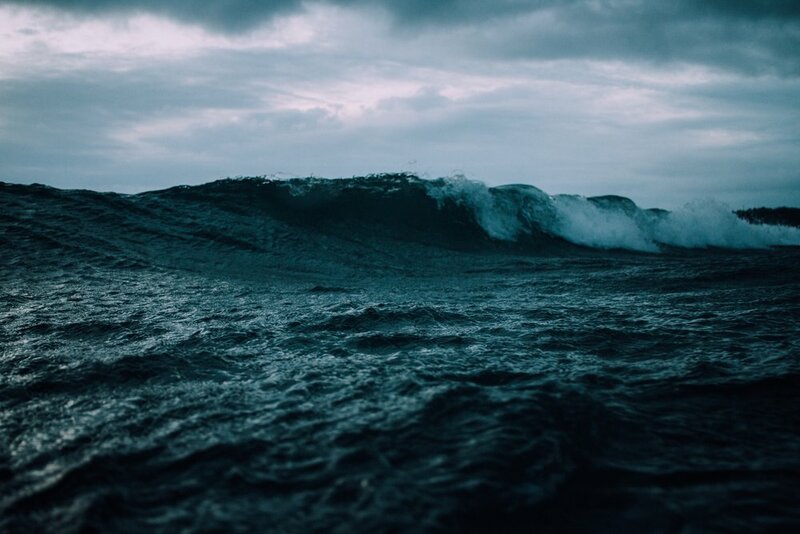 There were high winds and the waves began to crash into the boat until it was nearly full of water and about to sink. The disciples felt like their lives were in danger, however Jesus was asleep at the back of the boat. Frantically they woke him by shouting, “Lord, don’t you care that we are all about to drown? Teacher save us we’re going to drown!” Then he scolded (yelled at/rebuked/criticized) the wind and said to the sea, “Quiet down! Peace, Be still!” And the wind calmed down, and the waters became still, the storm subsided. And Jesus asked them, “Why were you so fearful? Where is your faith?” And the disciples were filled with fear and awe (amazement) and said among themselves, “Who is this? What kind of a man can control the winds and the seas? Nature itself obeys Him! Prayer: Powerful, Holy, Perfect, Almighty God, Loving Father, please help me to hear your voice in the midst of every storm. During the times of chaos, I ask that you fill me with peace by reminding me that you are in loving control. Increase my faith in you daily. Grant me the mental and physical strength to continually do your will and choose your will over my own. Lord, you are infinitely capable in all your ways. Your thoughts are higher than I can imagine, and your abilities are far greater than I realize. Thank you for taking the time to listen to my prayers, complaints, and requests. I ask you to renew my mind, grant me the wisdom to seek your advice first over my own decision-making. Thank you for caring for me on a level beyond my understanding. Help me have a better realization of how great your love is for me. Where do you turn when things get chaotic, to your own understanding and solutions? Or do you rest in the peace that God offers through faith that He cares for you and will provide a godly solution? Sometimes God uses and even creates storms in our lives so that He can have our undivided attention. Can you think of anything in your life that is distracting you from time spent with God?